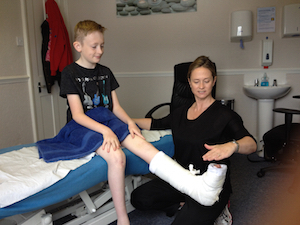 Our paediatric physiotherapist can provide specialised physiotherapy treatment for children aged between 0 and 18 years that have difficulty with their physical development as a result of neurological and/or developmental problems. Neurological conditions can be as a result of problems with the brain, spinal cord or peripheral nerves. Babies and/or children with neurological conditions may have difficulties with their physical functions including mobility, muscle strength, range of movement and balance. Children with developmental problems may have difficulty at reaching his/her developmental milestones by a time or age that is expected. Developmental milestones are tasks most children learn or develop that commonly appear in certain age ranges. For example, head control, rolling, crawling, walking and talking. 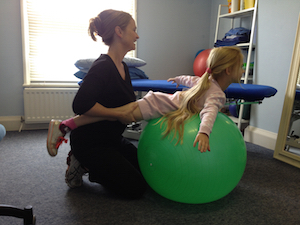 Physiotherapy treatment for children with neurological or developmental problems will help to maximise their potential and promote physical development to reach specific milestones (e.g. rolling, crawling and walking). The treatment approach will depend on your child's individual circumstances in order to provide the best possible treatment. It can be carried out either at the clinic or in your own home or at their school or nursery, depending on your child's needs. Early intervention is of key importance for your child to maximise their potential and can be provided as soon as possible as there are no waiting lists. It’s very personalized and tailored to suit my needs. I am more educated about my arthritis and HOW I can improve my mobility.